To develop talent, the Kunsthal Rotterdam has been organising presentations under the title Kunsthal Light since 2011. This exhibition programme offers opportunities for talented artists from the Netherlands and abroad. 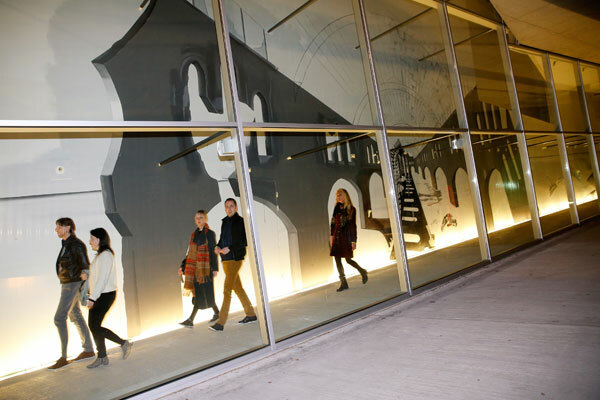 Kunsthal Light turns the spotlight on modern muralists, street artists and cartoonists, Conceptual art and installations. 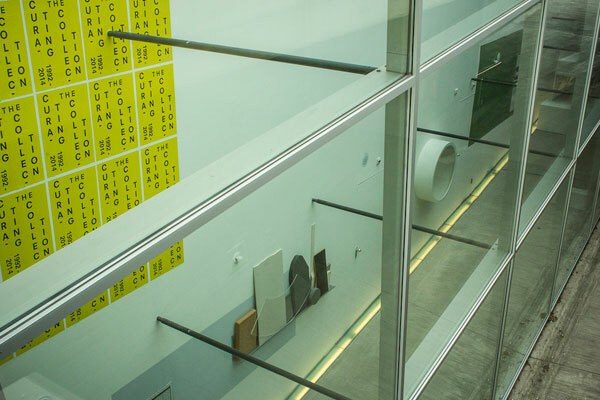 For this purpose the Kunsthal makes Gallery 6 (the showcase beside the ramp) available to an artist who is given a free hand to make a site-specific work. The artists often make their work on the spot, so that the development of the work can be seen from outside by the public and interaction results. Part of the presentation is an Artist Talk with the artist. 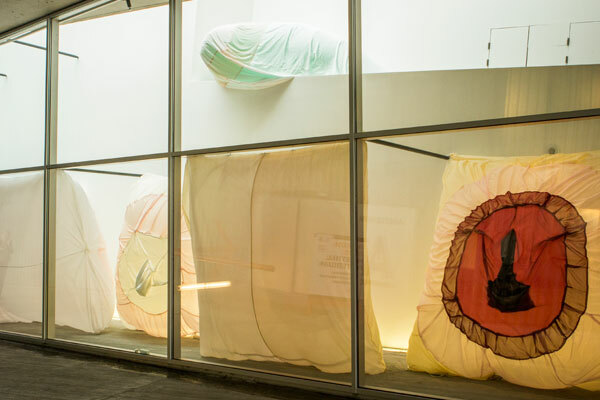 Aura Rendón Benger (1989-) graduated from the Koninklijke Academie voor Beeldende Kunst in The Hague in 2014 with large objects of kite material filled with air. When they are positioned, filled and suspended, these ponderous and at the same time light ‘beings’ occupy the space. The long narrow space of the Kunsthal showcase was the ideal location for the recurrent themes in Rendón Benger’s work such as distance, proximity, intimacy and the role of the public. Rendón Benger played in her interactive installation with childlike joy and sensual experiences of visitors who clashed with the objects as they made their way through the space. For edition 11 of Kunsthal Light, Tim Hollander scrutinised the components with which an exhibition is presented to the public, acting in the role of both artist and curator of the exhibition. Digging around in the depot and archives of the Kunsthal, he brought to light ‘hidden treasures’. With collages of ground plans, sketches and routing designs and using plexiglass covers, socles and paint colours, Hollander made a presentation of the ‘collection’ that the collectionless Kunsthal does not have. Thera Clazing graduated in 2014 from the Fine Art department of the Utrecht School of the Arts. Using latex and charcoal, she draws and paints on walls endless, desolate landscapes with skeletal structures of animals. The viewer is left to guess at what has taken place. The painted objects present a possible story full of suspense, anticipating a lugubrious twist. You suspect the existence of characters without anyone being present. Clazing’s work for Kunsthal Light #10 showed an oppressive loneliness and made viewers feel what they could not see.